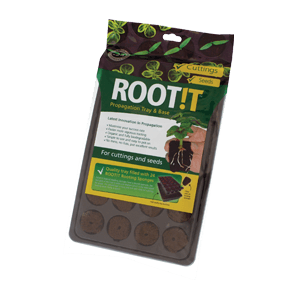 This refill pack contains 24 ROOT!T Natural Rooting Sponges in an insert and tray, ready for use in your propagator. 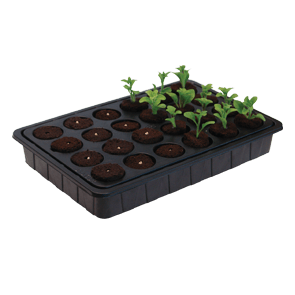 Keep everything tidy and in order by just seeding up and using this tray in your propagator. 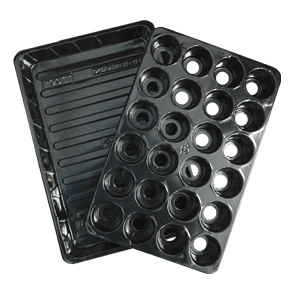 The ridged base of the tray allows water to drain away and allowing the sponges to retain the correct amount of moisture. 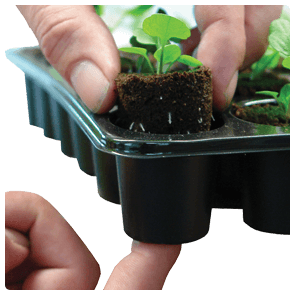 Once your plantlets are ready to transplant, they can easily be removed from the tray with large push through holes on the base. 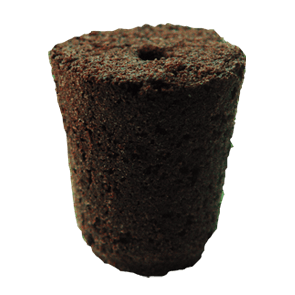 This will minimise any damage. 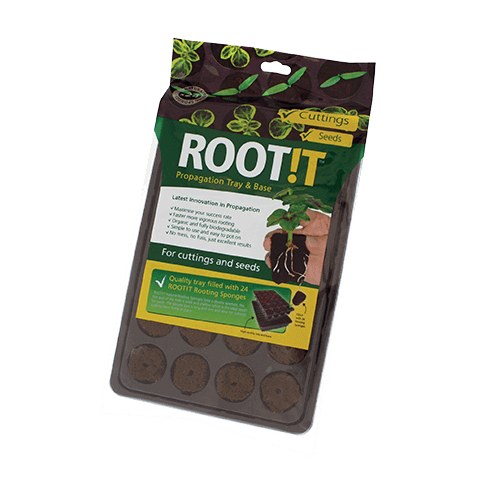 This refill pack will fit into your existing ROOT!T Propagator or into any existing propagator you may have.